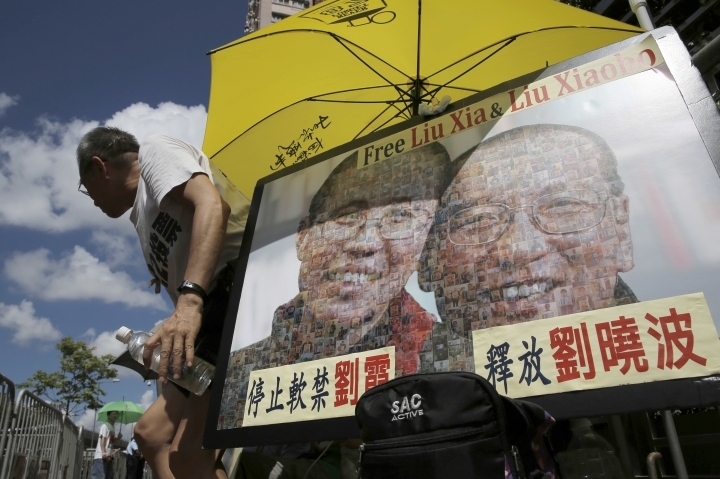 BEIJING — As China's government faces mounting international pressure to grant imprisoned Nobel Peace Prize laureate Liu Xiaobo his wish to leave the country for treatment of advanced liver cancer, it's fighting back with a familiar strategy: information control. From coordinated leaks of hospital surveillance video to a near-total news blackout for Chinese-language media and social media, the Chinese government's sprawling propaganda apparatus has revved up efforts to contain the controversy surrounding its most prominent political dissident. In an update Tuesday afternoon, the hospital treating Liu said he remains in critical condition and is now on dialysis and organ support. Liu was convicted in 2009 of inciting subversion for his role in the "Charter 08" movement calling for political reform. He was awarded the Nobel Peace Prize a year later while in prison. Chinese media have hardly mentioned repeated calls by the U.S., the European Union and others for Beijing to let Liu leave on humanitarian grounds. On Tuesday, U.S. State Department spokeswoman Heather Nauert again urged China to parole Liu so he can receive medical care at a location of his choosing. Chinese state media have provided extensive coverage this past week of President Xi Jinping's recent achievements, especially his travels to Russia and Germany, which they portrayed as a massive public relations triumph for China. On Tuesday, state newspapers including the official People's Daily and the English-language China Daily trumpeted Xi's call to "unswervingly advance" China's judicial reform and improve the military. Meanwhile, the daily barrage of questions about Liu fired off by the international press at foreign ministry news briefings has been excised from the ministry's published transcripts, as if they were never asked. The few mentions of Liu in the state media's overseas-oriented English editions in recent weeks contained denouncements and tough language aimed at foreign audiences. "It is probably out of politics that some people and forces are requesting Liu to be treated abroad," the nationalistic Global Times tabloid, published by the People's Daily, said in an editorial Tuesday headlined "Liu's cancer treatment mustn't be politicized." "Today's China is stronger and more confident, and will not yield to Western pressure," it said, accusing unidentified overseas forces of "squeezing Liu for their political goals." Foreign ministry spokesman Geng Shuang reiterated on Tuesday that China hopes other countries can "respect China's judicial sovereignty and not use such an individual case to interfere in China's domestic affairs." 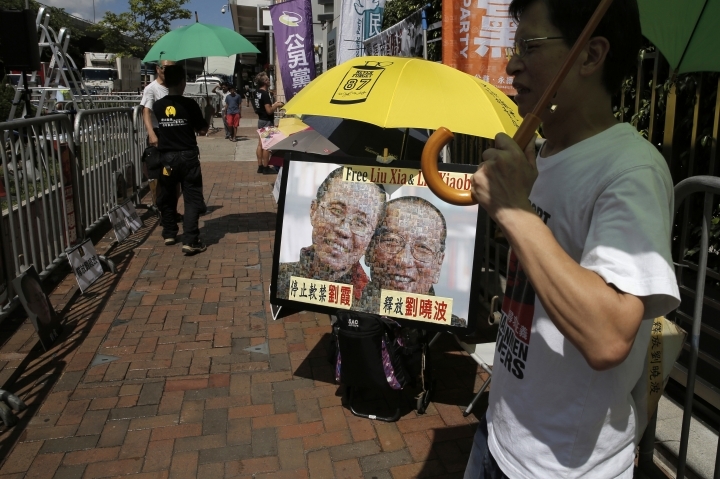 The response is a reflection of the party's fear of showing weakness "either at home or abroad," said Andrew Nathan, an expert on Chinese history and politics at Columbia University. Any sign of giving way "would only encourage domestic enemies and foreign critics," Nathan said, adding, "Been tough up to now, better continue being tough to the end." A more subtle effort to shape the narrative came this week when a video from Liu's hospital room emerged just as the government was saying that he was too sick to be transported abroad and was already receiving world-class treatment in China. 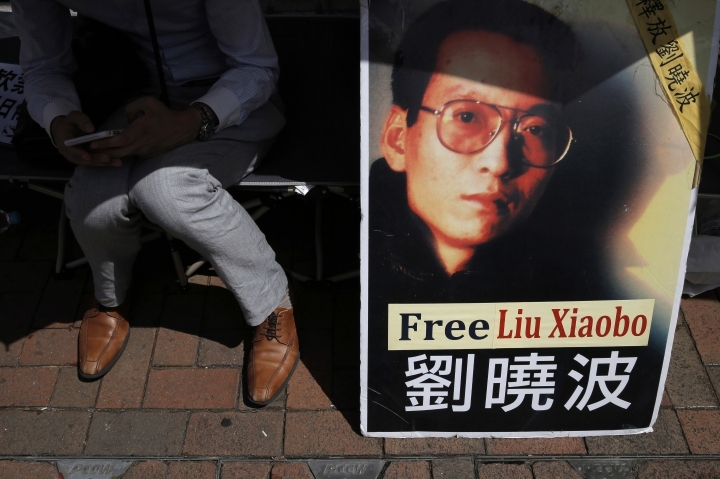 Surveillance video from Saturday leaked to English-language Chinese state media showed two foreign doctors at Liu's bedside telling his wife, Liu Xia, that the medical team assembled by China's government was doing its "utmost" for her husband. However, in a subsequent statement that was ignored by Chinese media, the German and American doctors said Liu was capable of traveling abroad, and the German Embassy in Beijing lashed out at China for "selectively leaking" the video to state media in a breach of doctor-patient confidentiality. "It seems that security organs are steering the process, not medical experts," the embassy said. 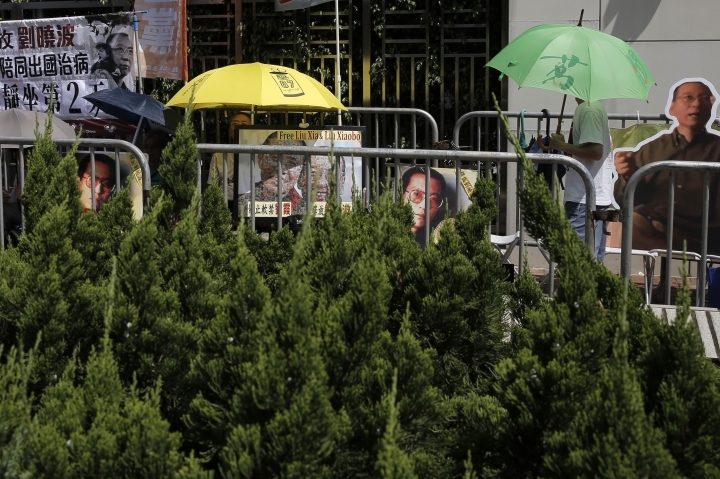 "This behavior undermines trust in the authorities dealing with Mr. Liu's case, which is vital to ensure maximum success of his medical treatment." The hospital video leak followed a familiar pattern. After Liu's diagnosis was made public in June, a jailhouse video montage quickly found its way onto YouTube that showed him playing badminton with a prison guard, chatting with his wife during a visit and sitting for a teeth cleaning — all intended to show a decent quality of life behind bars at Jinzhou Prison. At one point, he was shown remarking about the "great care" that prison authorities have shown for his health. Watson Meng, who runs the overseas Chinese-language media site Boxun that reposted the video, told The Associated Press that he believed it must have been released by the authorities as part of their propaganda campaign. Outside of official channels, unauthorized discussion of Liu has been swiftly punished. A police document that surfaced on the Internet this week described how a 38-year-old man in central Hunan province had been detained for seven days for discussing Liu's situation on WeChat, a social media messaging app. Local police in the city, Zhangjiajie, said they could not respond to questions about the case and referred inquiries to the provincial propaganda and foreign affairs offices, which did not respond to queries. News searches for Liu's name on Baidu, China's largest internet search engine, have turned up no hits since February. Searches on WeChat also turn up empty. Many supporters of political reform inside China have instead taken to Twitter, which is inaccessible in China without special software, to circumvent government censors. Bao Tong, a 85-year-old former top Communist Party official who has been under house arrest for decades, began learning to tweet this week because he has been forbidden from giving media interviews or publishing articles about Liu, according to his son, Bao Pu. "China's state-run media ... won't even report relevant information," the elder Bao fumed in one tweet. In another, he commemorated Liu's calls for freedom, referring to the first line of China's national anthem, "Rise up, all those who don't want to be slaves."